In this week's So Many Fairies story, “The Bakery Crystals,” Delia's bakery does a fine business selling beautiful cakes and pastries to the many visitors to her town. Her customers agree, however, that everything sold there has a faint taste of sadness and longing. Then, one day, the old stone hearth is lit, waking the joyful fire sprite sleeping inside and changing Delia's world. This is a story about a daughter who loves her father. This is a story of grieving and the magic that comes with letting go. But, perhaps most importantly for our present purpose, this is also a story about sweet rolls. 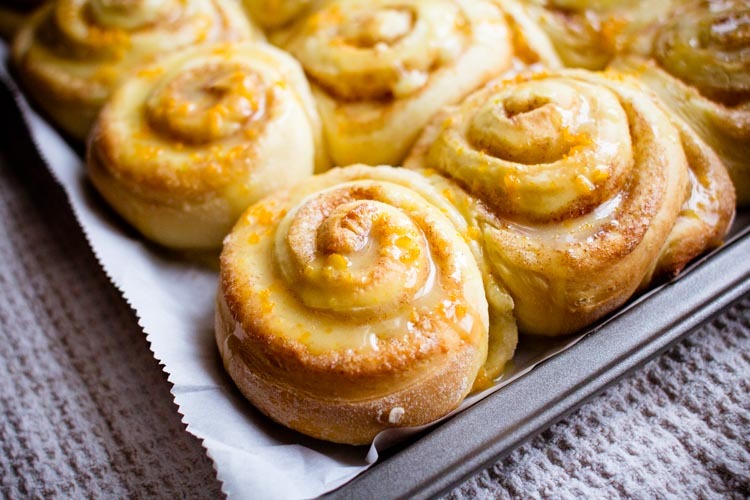 Growing up, my own father had a delicious but somewhat limited breakfast repertoire — Belgian waffles, instant oatmeal, and orange-glazed sweet rolls. 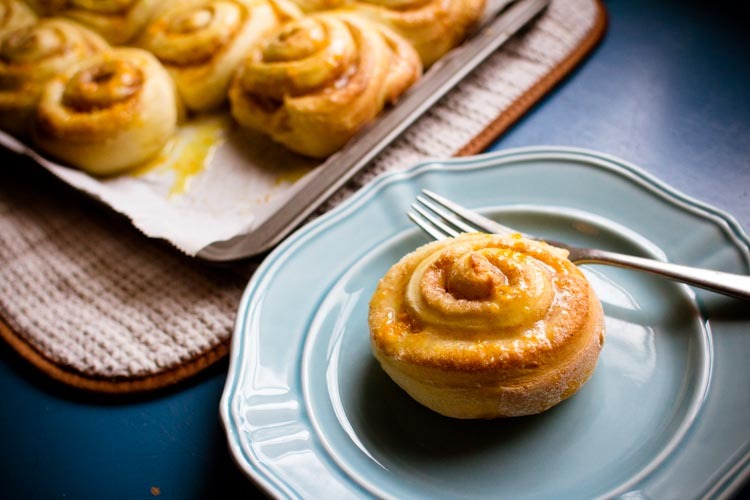 The sweet rolls were the kind that came from a can, and while they were good (as most things drizzled with orange and sugar are), more than anything I remember the delightful “pop” when my dad pressed a spoon on the seam of the can to open them. As an adult, I understand why he availed himself of the convenience. 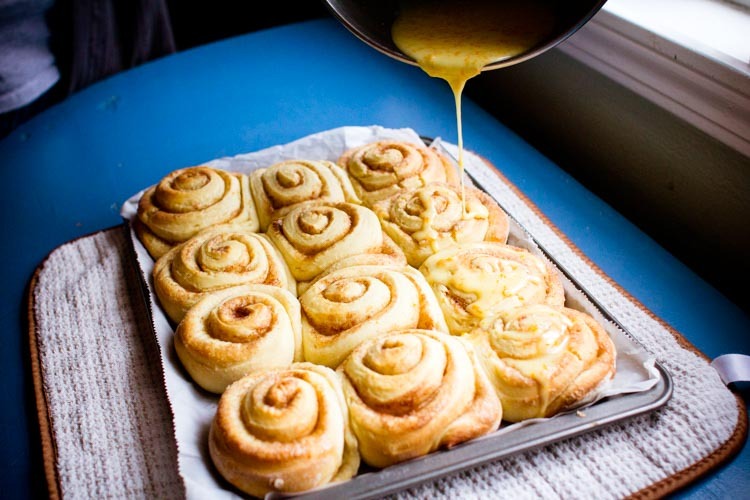 Making sweet rolls from scratch for breakfast is not difficult, and the actual hands-on work doesn't take that long. 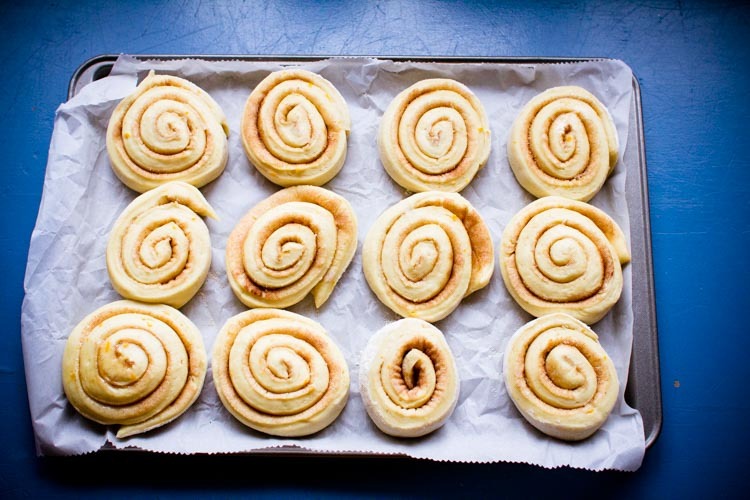 But when you add in the time it takes for the dough to rise and then rise again, you would have to adopt pre-dawn professional baker's hours to have a batch of sweet rolls done in time for even a late brunch, let alone breakfast-proper. Fortunately, there's a trick for that, but it does require planning ahead enough to start your dough the day before. By doing so, as set out below, you can get a head start by letting the dough rise once or twice before you go to sleep. Then, in the morning, the dough only has to rise one more time before baking — still an early morning, to be sure, but much more workable. And these rolls are so worth it. They're so much lighter and fluffier than anything you'll find in a can. (Although you will have to find another substitute for that fun popping noise!) 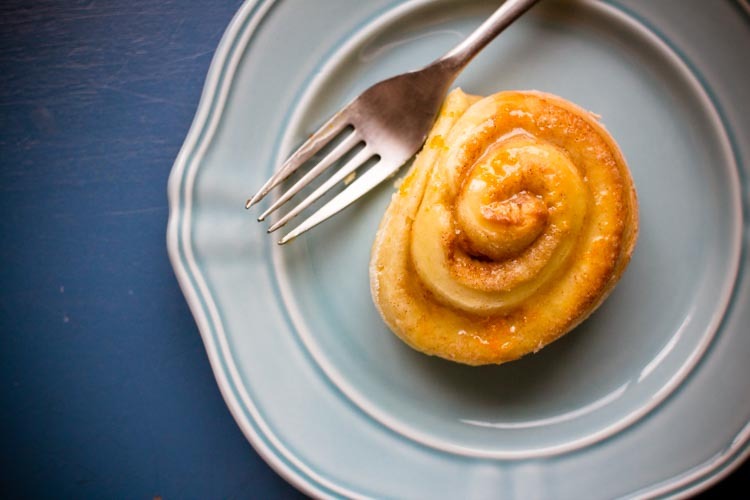 Start the dough for a batch today, and congratulate yourself tomorrow as you're headed toward gooey sweet roll bliss. Begin by stirring the yeast into the water. Allow the mixture to sit while you gather your other ingredients. Then, in the bowl of a stand mixer, combine the yeast mixture, orange zest, orange juice, sugar, egg, and butter. Beat to combine, then slowly begin adding the flour until your dough is springy and soft, but no longer sticky. Turn the dough out onto a floured work surface and knead it for about five minutes. Then, form the dough into a ball, and slip it into an oiled mixing bowl. Cover the bowl and put it into a warm place to rise. Punch the dough down, and allow it to rise again. Then, put the dough in the fridge overnight. 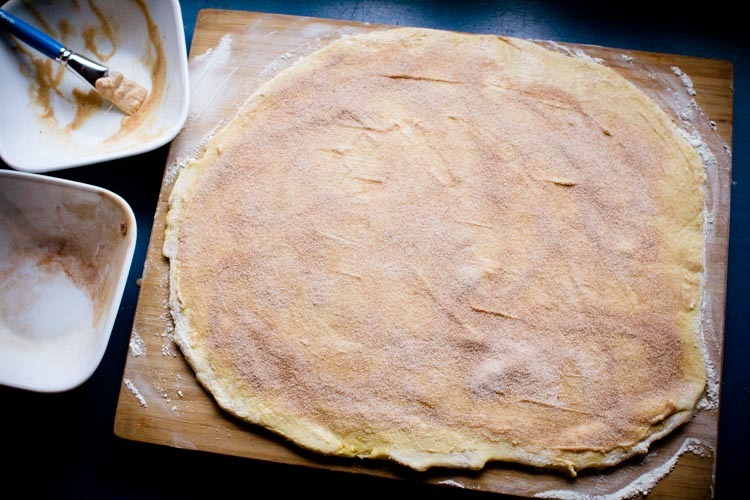 The next morning, pull the dough out of the fridge and allow it to come to room temperature. Then, once again on a floured surface, roll the dough out into a large rectangle, about 1/3 of an inch thick. In a small bowl, mix together the cinnamon and sugar for the filling. 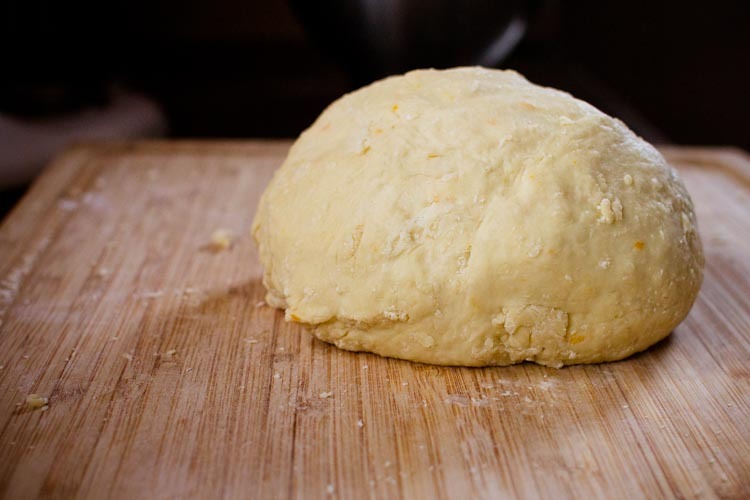 Melt the butter, then use a brush (or clean hands) to slather it onto your upturned dough. Sprinkle the cinnamon and sugar mixture over the butter generously. Now, starting with one edge of the longer side of your dough rectangle, roll the dough into a tight cylinder, and place the cylinder seam side down. Use a sharp knife to cut the dough into 12 rounds, then place the rounds on a parchment covered bake sheet. Cover with a clean dishtowel, and allow the rolls to rise until they're doubled in size. While the rolls are rising this last time, preheat your oven to 375 degrees. When the rolls are ready, lightly cover them with aluminum foil and place them in the oven for twenty minutes. Remove the foil, and let the rolls continue to cook for another 5-10 minutes, or until they're golden brown. Let the rolls cool slightly while you mix up the glaze. To do so, beat together the powdered sugar, orange juice, and vanilla. Drizzle the mixture over the warm rolls and enjoy!